Every team wants to set records, unless those records are for dubious marks. The Chicago Cubs established such a record on Monday when they struck out 11 times during a 1-0 loss to Cincinnati. The winners of the 2016 World Series have struck out 58 times over the first five games of the regular season to set a new National League mark. Cubs hitting coach Chili Davis following the game said he and his players wanted to see good contact but is was not taking place at the rate they want. He added that some players will just not be turned into contact hitters. He said that he did not want his players losing their aggressiveness at the plate, and his hitters are far too good for him to panic at this point. The Cubs often have said that strikeouts are part of the team’s DNA, but to start the season that has been taken to another new height. On Friday, during a game that lasted 17 innings, the Cubs struck out 20 times versus the Marlins. Ian Happ an outfielder set a mark for the franchise by striking out more than once in each of his first four games to start the season. The clubhouse is not panicking quite yet in the Windy City. There is no panic said Anthony Rizzo, the starting first baseman. He calls the team a good, fun group and panic has not entered into it yet. Rizzo’s strikeout in the eighth inning with the bases full was the Cubs’ 57th, tying them with the most through five games with the 2009 Washington Nationals. 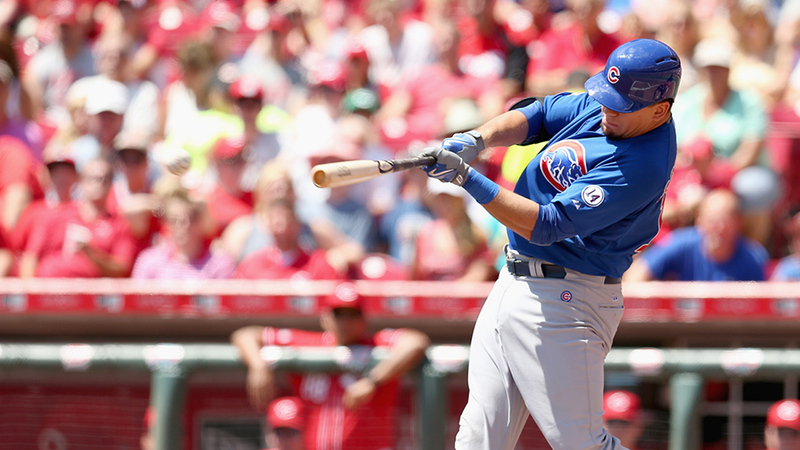 In the ninth, Kyle Schwarber led off with a strikeout to set the new mark for NL teams at 58. Joe Maddon said following the game that the team has struck out a great deal for several years but this season it increased by having a game go 17 innings in length, nevertheless the team needed to improve and do better he noted. Davis, who following the end of last season was fired by the Boston Red Sox, was supposed to lower the number of swings and misses as well as increase the success of situational hitting, but Chicago is just 1 for 14 thus far bringing a runner home from third with one out or less. That is far and away baseball’s worst percentage thus far for teams with five opportunities or more in that particular situation. Davis of course needs more than only spring training and the season’s first five games to make changes to hold.